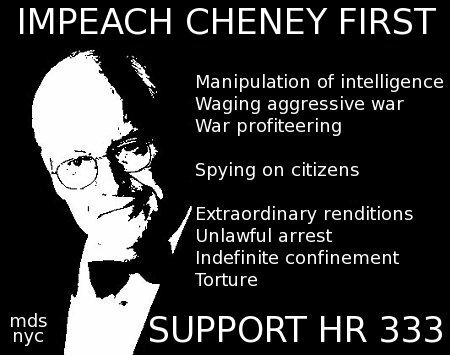 Download Hour1 Download Hour2 In this second part of our series on impeachment, we look at the mafia-like nature of the Bush/Cheney administration. Behind the waving flags and patriotic rhetoric, what we have is a field day for people who'll walk over dead bodies for a dollar - literally. We're going to begin with Robert Greenwald's wonderful video documentary on war profiteering, Iraq for Sale, which I've adapted for radio. It looks under the covers of the privatization of the military. For years, the public has been inundated with rhetoric of the efficiency of private industry. The question that must be asked is efficient for whom? This page was last modified on 9 March 2013, at 20:28.